In recent times, the community of Duncans in Trelawny has been making the news with one tragic incident behind the other in the past couple of weeks. From a major car crash which caused the deaths of three people, to the tragic plane crash which claimed the lives of some promising young Jamaicans, Trelawny has had much to mourn. But that seems to be changing, ‘Clearing up’, if you will. 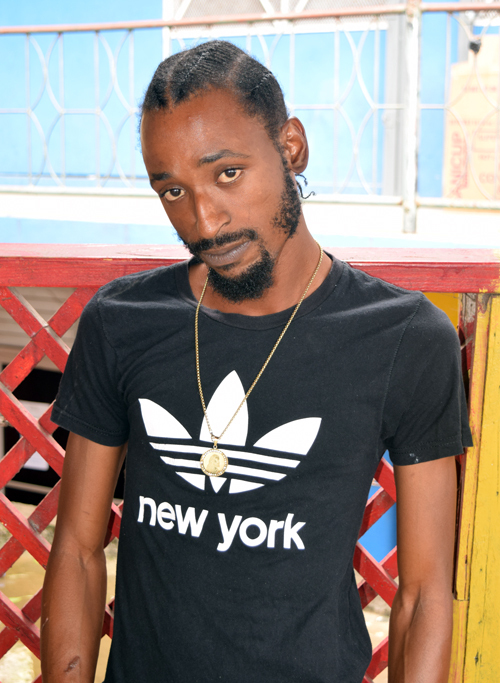 Stevie Dunn, a son of the Trelawny who goes by the name ‘Clearance, seems to be on the path to giving the tragedy-struck people of that community, and the wider Jamaica, something to smile about. Hailing from the Spicy Hill community of Duncans, Clearance is now getting the recognition he so wanted, and in many respects, earned. A past student of Duncans All Age School in the parish, Clearance pursued a course in Auto Repairs, following which he landed a job at Trelawny Tyres, an Auto Repairs shop. Despite making an honest living through this newfound profession, music had always been Clearance’s calling, and since accepting that, he has been on a tear. He recorded his first song, ‘Money come on, but it go easy’. And although the resilient Dunn never quite made the impression he hoped he would have with that song, he was never deterred. He refocused and tried again, this time pairing his talent with magic-making producer, DJ Cleva Criss, also a son of the community. This saw him launching an assault on the status quo with his almost consecutive releases of bangers such as ‘A Journey’, ‘Solid as a rock’, ‘Forty-five’, ‘Angel’, and ‘Real Steppa’. This dedication is paying off, as Clearance is now clearing his path in the booming music industry, and his partnership with DJ Cleva Criss, under his Cleva Criss Recordz label is certainly reaping dividends. The latest song being promoted by Clearance ‘High’, which is being produced by Cleva Criss. Clearance is a man of patience, and has his eyes set on first performing at the 2018 Trelawny jerk Festival. His next target? Reggae Sumfest. Next year.